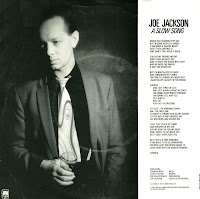 'Night and day' was Joe Jackson's fifth album and, in my humble opinion, his best. It contained the great hit singles Real Men and Steppin' out as well as the rather monumental A slow song, but also this 'should have been a bigger hit single' 'Breaking us in two'. It reached number 59 in the UK singles chart and a rather good number 18 in the US Billboard Hot 100 chart, but did not chart in Europe, which was rather surprising as it was the kind of music that usually did rather well in European charts. A demo version of this track was released in 2003 on a 'Deluxe edition' of the album 'Night and day'. In the Nineties, Joe Jackson moved away from pop music, but not before he released one of his best albums, 'Blaze of glory'. 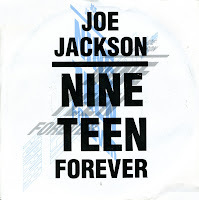 The first single from the album was 'Nineteen forever', a great energetic song. The single reached number 27 in the Dutch Top 40, but did not chart in the UK. Jackson felt the album was one of his best efforts and toured to support it with an eleven piece band in the USA and Europe from June to November 1989. He was disappointed with both the commercial reaction and his record label's lack of support. 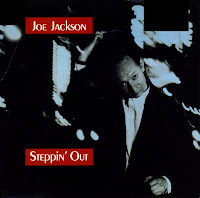 He parted ways with A&M, who then released the 1990 compilation 'Steppin' out: the very best of Joe Jackson'. 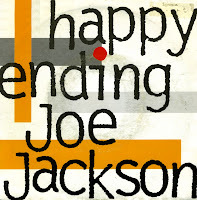 A track from Joe Jackson's 1984 album 'Body & Soul', 'Happy ending' is a duet with Elaine Caswell. She was his backing vocalist during his world tour at the time, when they recorded this song together. It was released as the second single from the album. The single was only a modest hit, reaching number 34 in the Netherlands, number 47 in Australia, number 57 in the USA and number 58 in the UK. 'Steppin' out' was a hit for Joe Jackson in 1982. The song is about the anticipation and excitement of a night out on the town. It became Jackson's biggest hit in the USA, reaching number 6 in the US Billboard Hot 100. In the UK singles chart, it also reached this position. 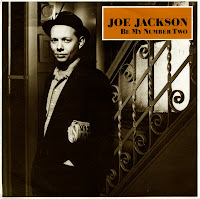 When his record company released the compilation album 'Stepping out: the very best of Joe Jackson' (1990), the track was re-released as a single. It didn't seem like a very logical thing to do, since the song had already been a hit. This time around, the single flopped. It is printed on the sleeve and on the label of this single: 'For promotion only Not for sale'. So was 'Blaze of glory' released commercially as a single? You would guess not, because it is not listed in his discography on Wikipedia and discogs.com. Yet, I do have a cd-single which does not come with the 'promotion only' warning... How strange! 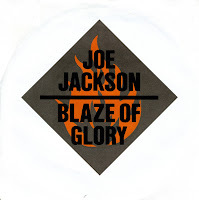 Anyway, 'Blaze of glory' is the title track of Joe Jackson's 1989 album. The on the album were an examination of his generation as the Eighties were ending, ranging from the optimism of the Fifties ('Tomorrow's world') to the politics of terrorism ('Rant and rave', included here on the B-side). The title track tells the story of a singer who is successful, but then dies young. After his marriage ended, Joe Jackson moved toNew York. His 1982 album 'Night and day' was a partial tribute to the city. Songs like 'Real men' and 'A slow song' referenced New York indirectly. I don't know why 'Real men' ended up on the B-side of the single in the UK, but perhaps it was because of its anti-war sentiments under Thatcher's reign and the Falklands war that was taking place that year. 'A slow song' was put on the A-side instead, a seven minute epic, on the face of it complaining about the loudness of music and DJ's that keep playing uptempo tracks. 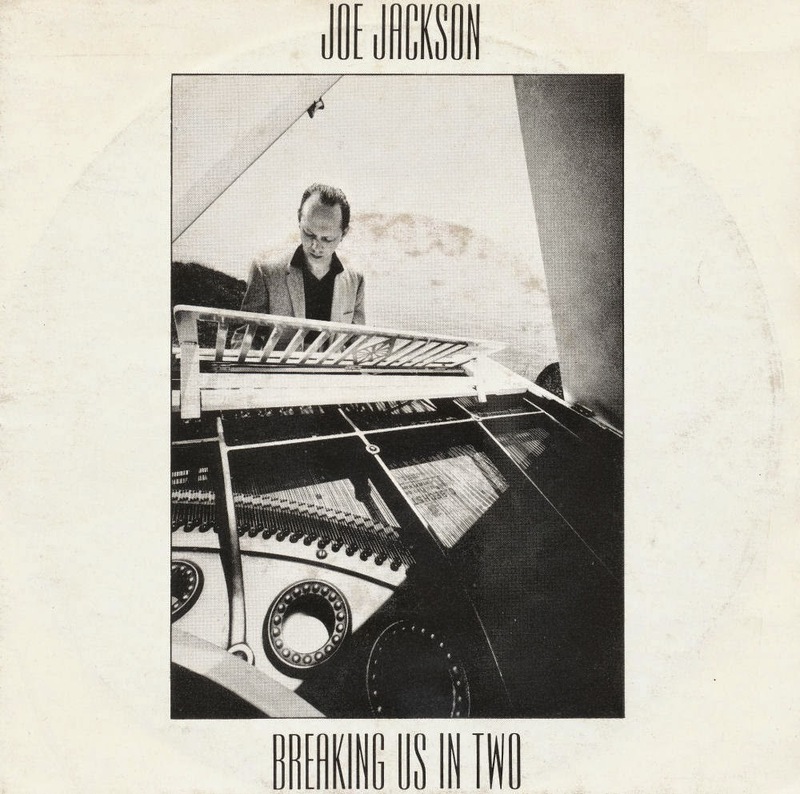 But as always with Joe Jackson, there's bound to be a message beneath... You tell me! Joe Jackson was born as David Ian Jackson on August 11, 1954. He released his debut album 'Look sharp!' in 1979. Prior to that, 'Is she really going out with him?' was released as his debut single in September 1978. A flop in the UK, the single managed to become a radio hit in Europe, although this didn't lead to chart placings. In the Netherlands the single managed a few weeks in the bubbling under chart in April 1979. It took a re-release in August 1979 to become a number 13 hit in the UK. Taken from his 1984 album 'Body and soul', 'Be my number two was single number three, and unfortunately the least successful of them. While 'You can't get what you want ('til you know what you want)' and 'Happy ending' made the charts in the UK, Australia, and America, 'Be my number two' was only a minor hit in the UK, peaking at number 70. I discovered the song years after it was released, and was immediately impressed by the arrangement. The rather aggressive instrumental at the end of the song is a beautiful contrast with the rather vulnerable lyric and first half of the song. After discovering the song, I spent years finding the single. I was relieved when I finally found it. 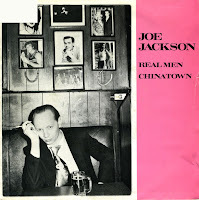 Joe Jackson released his second album 'I'm the man' in 1979. 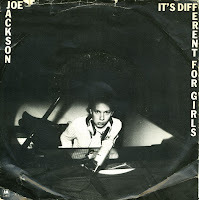 While the title track, released as the first single from the album, didn't chart, Jackson had more success with the second single, 'It's different for girls'. It peaked at number 5 in the UK singles chart and reached number 85 in Australia. I distinctly remember going to Disco Market in May 1989 and buying a stack of second hand singles from a newly received batch. The sleeves were slightly tattered on the edges, but that didn't spoil my fun: this shop was always able to make me very happy in the knowledge that I'd found some rare old singles. Joe Jackson was born as David Ian Jackson on August 11, 1954 in Burton upon Trent, England. He started off learning to play the violin but soon switched to piano. When he was sixteen he started playing in bars, and eventually won a scholarship to study musical composition at London's Royal Academy of Music. Jackson did not like the prospect of being a classical composer, and moved towards pop and rock instead. Starting his career in the late Seventies, he had some early hits in the UK with 'It's different for girls' and 'Is she really going out with him?'. His first big hit in the Netherlands was 'Real men', taken from the 1982 album 'Night and day'. The album paid tribute to the wit and style of Cole Porter (and indirectly to New York City). 'Real men' pointed obliquely to the city's early Eighties gay culture.